Ronald Royer is a multi-talented musician who is active as a conductor, composer and educator. Born in Los Angeles into a family of professional musicians, he began his career as a cellist, performing with such ensembles as the Toronto Symphony, Utah Symphony, Pacific Symphony, and American Ballet Theatre Orchestra, as well as working in the Motion Picture and Television industry in Los Angeles during the 1980’s. He has worked with many prominent musicians such as Placido Domingo, Joshua Bell, Emanuel Ax, John Williams, Henry Mancini, Andrew Lloyd Webber, Frank Sinatra, Ray Charles, Stevie Wonder, Loreena McKennitt, Sarah Vaughan, and the Modern Jazz Quartet. 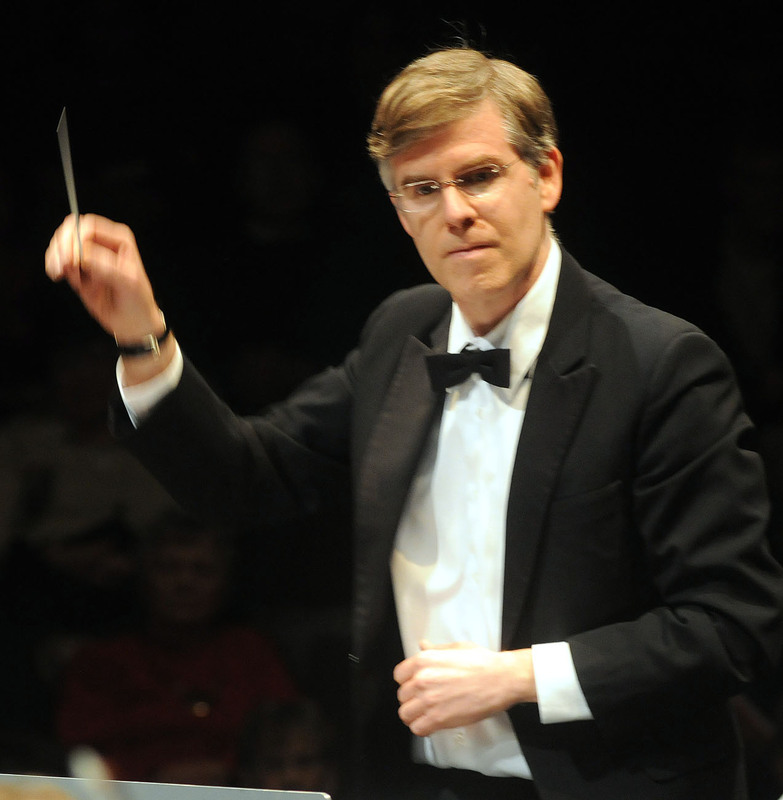 Mr. Royer presently serves as the Music Director and conductor of the Scarborough Philharmonic Orchestra, a role he’s been proud to have since 2009. Ron has conducted Sinfonia Toronto for the recordings “Premieres”, featuring violinist Conrad Chow, and “The Hollywood Flute”, featuring flutist Louise DiTullio. Mr. Royer has conducted the Toronto Studio Orchestra, made up primarily of musicians from the Toronto Symphony and the Canadian Opera Company Orchestra, for the children’s movie, “Gooby”. He has also conducted film scores for “The Happy Couple” and “The Dog”. Mr. Royer has appeared as guest conductor of Sinfonia Toronto, Niagara Symphony, Toronto Sinfonietta, Stratford Symphony, Mississauga Symphony, Sinfonia Mississauga, York Symphony, Canadian Sinfonietta Chamber Players, and the Susquehanna Symphony (Maryland, USA). He has served as the composer-in-residence for Sinfonia Toronto, Orchestras Mississauga, Toronto Sinfonietta and the Scarborough Philharmonic. His concert music has been performed by over 60 orchestras, including the international iPalpiti Orchestra in Disney Concert Hall (Los Angeles, USA), Sinfonia Finlandia (Finland), Bohuslav Martinu Philharmonic Orchestra (Czech Republic), Athens La Camerata (Greece), Joensuu City Orchestra (Finland), and Members of the Wurttemberg Chamber Orchestra (Germany). Canadian performances have included the Kitchener-Waterloo Symphony, Victoria Symphony, Thunder Bay Symphony, Orchestra London, and Symphony New Brunswick. The Ontario Festival Symphony Orchestra performed his composition “Exuberance” on their New Year’s 2012 concert tour of China (and can be viewed on YouTube). Mr. Royer has worked in film and theatre, and this includes (with co-composer Kevin Lau) the score for “Gooby”, starring Robbie Coltrane and Eugene Levy. The latest recording of his music, “The Time of My Life”, features his Concerto for Trumpets and Orchestra, performed by trumpeter Burnette Dillon, the Los Angeles Studio Orchestra, and conductor Jorge Mester. Other recordings include “The Nightingale’s Rhapsody” with clarinetist Jerome Summers and The Thirteen Strings of Ottawa, as well as discs by the Toronto Sinfonietta, Bohuslav Martinu Philharmonic, iPalpiti Orchestra, HornPipes Duo, Chamber Music Society of Mississauga, Triofus, and cellist Simon Fryer. Mr. Royer has just graduated from the work force and is already using his new-found extra time to help the SPO do more. Ron taught and conducted at the University of Toronto Schools and remains an advocate for music education. He is married to SPO Principal clarinetist Kaye Royer. More information may be found at: www.ronaldroyer.com. Watch for updates coming to his personal website, soon!